After a ton of user feedback, we’ve rolled out some changes that make it even easier to re-order your favorite items. 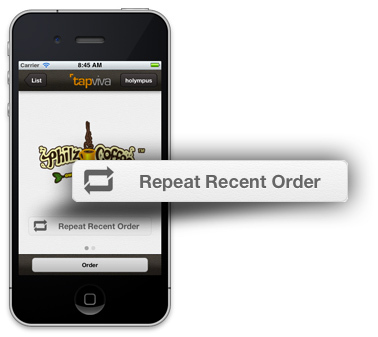 Now in just three taps, you can recall a previous order and submit it to be prepared. We’ve also made it dead-simple to modify an existing order. So if you’re re-ordering lunch for your entire office, you’ll be able to pull up yesterday’s transaction and add or remove a sandwich or two. Let us know what you think! Tweet us @tapviva. We’d love to hear your thoughts!